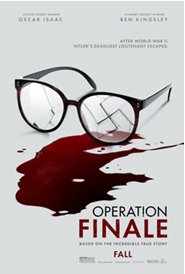 Operation Finale, brings to life one of the most daring covert operations in modern history. Starring Academy Award winner Sir Ben Kingsley (Gandhi, Schindler’s List) and Golden Globe winner Oscar Isaac (Star Wars: The Last Jedi, X-Men: Apocalypse), the film vividly captures the ingenious and brilliantly executed mission to capture Adolf Eichmann, one of the chief architects of the Holocaust. Operation Finale releases in theaters on August 29. Yes, Jesus is sovereign, but we don’t yet see all under his feet. We want comfort in wartime, and demand rest. And carp and complain when we get a soldier’s rest: we sleep where and when we can, tree roots, dirt clods, and stones poking us in the back. Yet, the Liar’s Lullaby sings on in unholy 3-part harmony–with one goal in mind: to make us forget. And in the forgetting, sleep. God must often allow the gaping wounds to wake us up, to rouse us from our stupor. Because we have been lulled to sleep again, and He had no other way to get our attention. The world is the wool so often pulled over our eyes. How has this been true in your life? How is the Liar’s Lullaby singing to you today? Can you hear its beautiful, terrible strains? 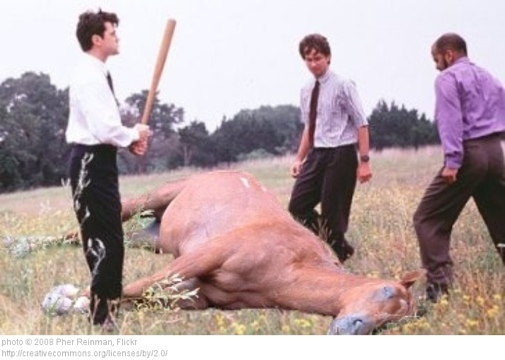 So, Ricky Anderson pretty much badgered me via text yesterday about how he was going to bring our IT Wars, 2012, to a stunning, epic conclusion today. A Specimen of Embarrassment. Like Quantum of Solace, but starring Ricky. It is indeed as epic, awesome, and hilarious as it sounds. James Bond: eat your heart out. Anywho, despite the tonal differences in the two pieces, the second would DEFINITIVELY not exist without his undergoing the former. Peace put, peeps! Make a great weekend!